I'm an Associate Professor in the Department of Biological Sciences at the University of Rhode Island. My research focuses on the ecological and evolutionary responses of natural populations to recent, human-mediated global change, such as biological invasions, climate change, and urbanization. I take an integrative approach combining field and laboratory experiments, population genetic analyses, comparative analyses of phenotypic and ecological variation, and environmental niche modeling. Much of my research centers on how evolutionary processes facilitate or constrain the ability of alien species to invade non-native areas and whether we can accurately predict the future course of invasions. Another primary focus is understanding eco-evolutionary dynamics and contemporary evolution in natural populations. For this work we use islands in the Bahamas as experimental units. Most of my current research uses Anolis lizards, but I have a general interest in amphibians and reptiles and other organisms suitable for asking questions about global change and evolutionary ecology. Chris is a postdoctoral researcher in the Kolbe Lab at the University of Rhode Island. An evolutionary ecologist, he is interested in how organisms are adapting to novel environments associated with anthropogenic change, including urbanization, climate change, and biological invasions. Chris is integrating lab and field experiments to assess how aspects of life in urban environments, including changes in temperature, parasites, and light-at-night can impose selection on organisms, and how those organisms adapt to these pressures. He received his Ph.D. in Ecology from Penn State University where he worked with Dr. Tracy Langkilde, and his M.S. from the University of Alabama while working with Dr. Leslie Rissler. Dan is an NSERC (Natural Sciences and Engineering Research Council of Canada) postdoctoral fellow in the Losos lab at Harvard and a collaborating postdoc of the Kolbe lab at URI. He is an evolutionary biologist interested in understanding mechanisms of biological invasion. For his research, Dan combines data from the field with common garden experiments and with cutting-edge genomics tools. He earned his Ph.D. with Loren Rieseberg at the University of British Columbia, where he investigated the evolutionary and genetic basis of invasiveness in a widespread perennial sunflower. For his postdoctoral project at Harvard and URI, Dan is exploiting knowledge on the invasion of Anolis sagrei in Florida. He is investigating the role of admixture in invasive spread, and identifying regions of the genome responsible for climate adaptation in this system. Christina is a Ph.D. student in the Integrative and Evolutionary Biology Program at URI. She received her M.S. in Dr. Riccardo Papa's lab at the University of Puerto Rico, Rio Piedras. Her thesis explored the invasion genetics of Green Iguanas, identifying the origins of introduced Puerto Rican populations. 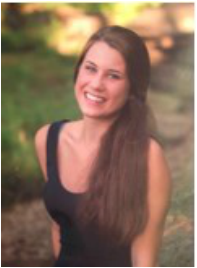 Christina is interested in invasion biology, population genetics, and conservation biology. Check out her Invasion Biology blog (here). Jessica is a M.S. student in the Ecology and Ecosystem Sciences program at URI. She graduated from University of Puerto Rico, Río Piedras, with a B.S. (’17) in Integrative Biology. 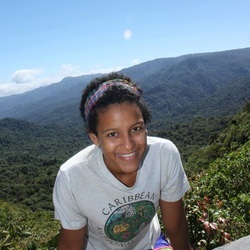 She studied interactions between temperature, moisture, and hydration on two species of coquis (Eleutherodactylus coqui and E. portoricensis) in Dr. Patricia Burrowes’ lab, and pursued interests in the effects of environmental change. Her current research interests are focused on eco-physiology and population biology. Previously she participated in the Science and Engineering Fellows program at the University of Rhode Island in summer 2015 working on green anole hybridization. Amanda is a Marine Biology major on a pre-med track (B.S. expected in 2019). She is studying variation in parasite abundance between urban and natural populations of anoles in Miami with Ph.D. student Andrew Battles and postdoc Chris Thawley. Noah is a Cell and Molecular Biology major (B.S. expected in 2020) from Berlin, Connecticut. He did a Coastal Fellows project working with postdoc Sozos Michaelides in summer 2017 reconstructing the invasion history of Anolis wattsi, which was introduced from Antigua to Trinidad. He also conducted a lab-based experiment to determine the types of perches that anoles prefer.